When you buy a shared hosting plan you have to share your server and resources with a number of other websites that divides the cost among many clients thus effectively bringing down the overall expenses incurred by each client. That is why it is counted as the most economical hosting plan suitable for small businesses and start-ups. However, on the flip side, the same hardware and resources are used to host multiple sites. So, you cannot expect to enjoy a stable performance due to the ongoing tug of war. It can eventually result in downtimes, performance issues and page loading speed of your site- some key factors that decide your rankings. However, if you are just a beginner and don’t have a well planned commercial objective then you can better purchase cheap shared hosting packages from reputed hosting providers. The plan is also suitable for the websites that experience fairly small traffic on their websites. However, as your site starts receiving more traffic it needs more resources to handle the traffic confidently. In that scenario, you need to upgrade hosting plan to enjoy a dedicated pool of resources. In most cases, it is advisable to buy Virtual server especially for the clients with more specific focused needs but limited needs budget and we have discussed at length about the same in our previous post. However, if you still experience the issues after upgrading to the VPS hosting package then you may need to invest in a dedicated server. It is always best to consult with your hosting provider before upgrading to dedicated hosting package as it requires a good amount of investment. 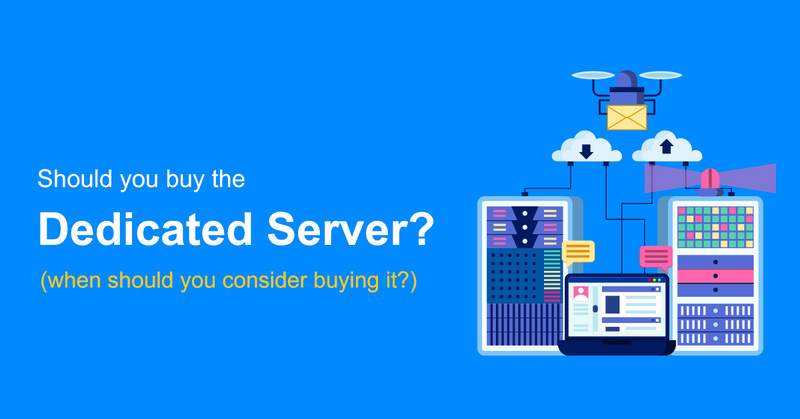 The major benefits of a dedicated server are that it allows you to enjoy the ultimate ownership of your resources, a better price and highest levels of security. 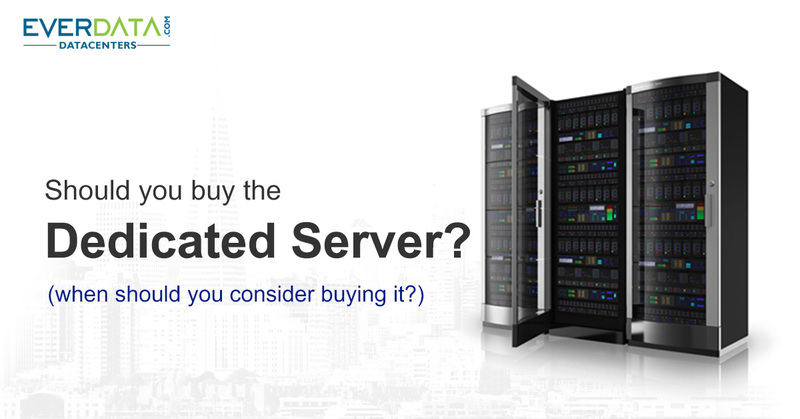 Dedicated hosting is more expensive. In fact, it Is the most expensive among all the traditional plans of hosting, However, it perfectly justifies the extra dollars by      offering a higher amount of flexibility to take complete care of your hosting needs while at the same time enjoying a wider level of security and privacy. Generally, we assume that your site is actively making a huge amount of dollars before you decide to purchase a dedicated hosting package. In short, if your site is already making great revenue and you need more reliability better security and privacy for maintaining the performance and reputation of your site then dedicated hosting can be the best option for you. Here we would again like to emphasize that before you decide to purchase a dedicated hosting package make sure that your site should already be making a good revenue with considerable net profits after deducting the costs incurred.